The Dept. of Transportation announced on Oct. 6 the “immediate availability” of $5 million in emergency relief funds from the Federal Highway Administration to the South Carolina Dept. of Transportation (SCDOT) to help repair roads and bridges damaged by the recent rain-driven flooding that has crippled the state. The $5 million provided is earmarked for making infrastructure repairs “to restore essential traffic as the state continues to assess the damage,” according to DOT. Torrential rains hit South Carolina beginning on October 2 and continued for several days. Rainfall of more than 20 inches came down in many areas, causing significant flooding that damaged the state’s highways and bridges. In announcing the relief funding, DOT noted that critical routes in South Carolina, including I-95 and I-26, are closed. However, as of last evening, SCDOT had advised that “all of I-26 in South Carolina is now open” and that it had re-opened portions of I-95. 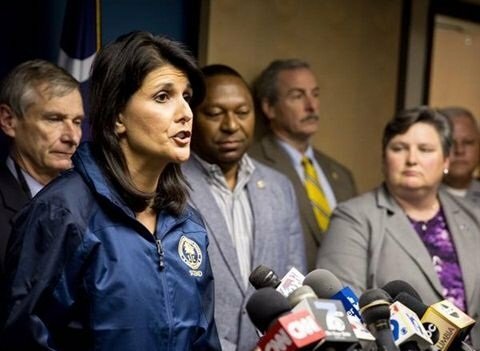 Earlier this week, in response to the epic flooding, the governors of South Carolina and North Carolina issued executive orders that suspend federal hours-of-service requirements for truck drivers as well as certain truck size and weight limits for loads deemed necessary to help speed emergency relief.